The following appeared in The Nagara Falls Gazette: [Born] At Memorial Hospital . . . To Mr. and Mrs. Jack G. Guenther, 635 Jefferson avenue, June 8, a son. 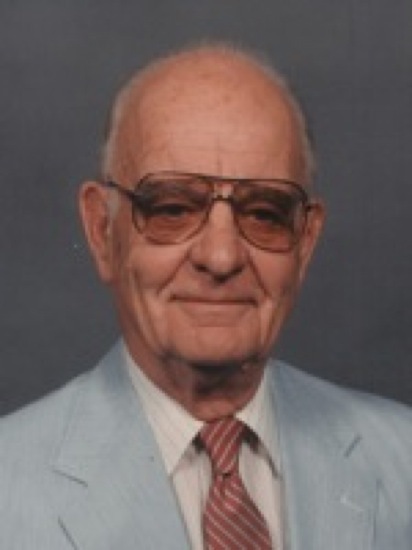 Jack Gaylord Guenther was born on 9 May 1918 in Niagara Falls, Niagara County, New York. Gaylord Stephen Guenther and Mary Ethel Sierk appeared in the US federal census of 1 January 1920 in Niagara Falls, Niagara County, New York, at 1121 Walnut Avenue. Other members of the household included Jack Gaylord Guenther. Gaylord Stephen Guenther and Mary Ethel Sierk appeared in the US federal census of 1 April 1930 in Niagara Falls, Niagara County, New York, at 1887 Cleveland Avenue. Other members of the household included Jack Gaylord Guenther, Marilyn Ethel Guenther and Jane Audrey Guenther. Gaylord Stephen Guenther and Mary Ethel Sierk appeared in the US federal census of 1 April 1940 in Niagara Falls, New York, at 1887 Cleveland Avenue. Other members of the household included Jack Gaylord Guenther, Marilyn Ethel Guenther and Jane Audrey Guenther. He was attending college and employed as carpenter helper in building construction, according to the 1940 census. He married Elynor Forster, daughter of Otto Marquard Forster and Louise Lyson Bulgheroni, on 4 April 1946. The following appeared on 9 June 1951 in The Nagara Falls Gazette: [Born] At Memorial Hospital . . . To Mr. and Mrs. Jack G. Guenther, 635 Jefferson avenue, June 8, a son. The following appeared on 23 May 1970 in the Niagara Falls Gazette: Lance L. M. Brown will be ordained into the Christian ministry at a service of worship Sunday in First Presbyterian Church, 311 First St., at 4 p.m.
Officiating clergy will be the Rev. James Westhafer, pastor, First Presbyterian Church, Lockport, and moderator of the Presbytery of Western New York, assisted by the Rev. a. Russell Stevenson, the Rev. Carl H. Lenz and the Rev. Hans Klee. Mr. Brown, son of Mr. and Mrs. Jack G. Guenther, 962 Rankine Road, this city, and the late Marine Corps Maj. Fletcher Locke Brown Jr., is the first young man who has grown up in the First presbyterian Church here to be ordained in the church in more than 60 years. A DeVeaux School graduate, mr. Brown received his bachelor's degree from Buena Vista College, Storm Lake, Iowa, in 1966. Pittsburgh Theological Seminary Conferred on him the degrees of bachelor of divinity in 1969 and the master of theology in 1970. He was listed in Who's Who in American Colleges and Universities. He will become assistant minister in Beulah Presbyterian Church, Pittsburgh, where he will be in general charge of church education and in direct association with junior and senior high youth. Mr. Brown and his wife, the former Nancy J. Liersch, daughter of Mr. and Mrs. George Liersch, 2931 Weston Ave., and a well-known organist and musician, will reside with their infant son Eric, at 104 Dauntless Drive, Pittsburgh, after June 1. A reception will follow the ordination and will be sponsored by the Women's Association of the church and the hospitality committee of the Church Session. Mrs. Melving Dashineau is chairman. The following appeared on 18 August 1970 in the Niagara Falls Gazette: Mr. and Mrs. Philip B. Wallens, 922 Lafayette Ave., announce the engagement of their daughter, Miss Bonni-Sue Wallens, to Jack G. Guenther, Jr., son of Mr. and Mrs. Jack. G. Guenther, 962 Rankine Road. Miss Wallens is a graduate of Stella Niagara High School and attends Niagara Community College, majoring in social science and humanities. Mr. Guenther is a 1969 graduate of Niagara Falls High School and attends Niagara University, majoring in engineering. A December 1972 wedding is planned. The following appeared on 30 June 1983 in the Tonawanda News: Happy Birthday! . . . Jaclyn Lyane Guenther, daughter of mr. and Mrs. Jack G. Guenther Jr. of North Tonawanda, first birthday on July 5. Grandparents are Mr. and Mrs. Jack G. Guenther of Niagara Falls and Mrs. Norman Hardy of North Tonawanda. Jack Gaylord Guenther became a widower at the 14 September 1990 death of his wife Elynor Forster. The following appeared on 15 September 1990 in The Buffalo News: Elynor F. Guenther , 70, a former American Red Cross volunteer, died Friday (Sept. 14, 1990) in her home after a lengthy illness. A memorial service will be held at 10:30 a.m. Monday in the First Presbyterian Church, 311 Rainbow Blvd. A Niagara Falls resident for more than 40 years, she had lived in many areas of the world, including Pearl Harbor at the time of the surprise Japanese attack that plunged the United States into World War II. At that time, Mrs. Guenther 's first husband, Maj. Fletcher L. Brown Jr., was stationed there as a Marine pilot. He was killed a year later in fighting at Guadalcanal. Mrs. Guenther, a native of Jackson, Miss., was involved with several Niagara Falls organizations and events, including the LaSalle Children's Field Day and the Maid of the Mist Festival. As a Red Cross volunteer, she worked with the blood bank and at Veterans Hospital, Buffalo. She was a former member of the Niagara Falls Weavers, a craft club, and was a member of the First Presbyterian Church. Survivors include her husband, Jack G. Guenther; three sons, the Rev. Lance L. M. Brown of Purcellville, Va., Jack G. Guenther Jr. of North Tonawanda, and Otto F. Guenther of New Castle, Del; a daughter, Lyane Marie Klein of the City of Tonawanda, and four grandchildren. Jack Gaylord Guenther died on 27 February 2009 at age 90 in Niagara Falls, New York. The following appeared in a Niagara Falls newspaper: Jack Gaylord Guenther, Sr., 90 of Niagara Falls passed away Friday February 27, 2009 surrounded by his family at his residence while under care from Niagara Hospice. Mr. Guenther was born in Niagara Falls, NY on May 9, 1918 a son of the late Gaylord S. and Mary (Sierk) Guenther. He was a 1936 graduate of Niagara Falls High School where he was Captain of the Football team. He continued his education and graduated from Dartmouth College in 1941 and the Thayer School of Engineering in 1942. Mr. Guenther served in the United States Navy, Naval Construction Battalion (Seabees) from 1942-46 and was discharged from active duty with the rank of Lieutenant. He continued his service in the United States Naval Reserve from 1941-50 where his duty stations included Norfolk, Virginia, Newfoundland, Camps Parks, Shoemaker, Pleasanton, California. While serving he also played on the Fleet City Bluejackets team. He met and married Elynor Forster Brown on April 4, 1946. Mrs. Guenther died September 14, 1990. His professional civil engineering career included Ben C. Gerwick, Inc. from 1946-49 heavy docks and foundations in the San Francisco Bay area, from 1951-1971 Wright & Kremers, Inc. managing industrial, commercial and public building projects including the Niagara Power Project and from 1972-1986 with the Dravo Corporation in Pittsburgh, PA., in heavy construction management in the United States and Saudi Arabia. Mr.Guenther was a life-long member of the First Presbyterian Church of Niagara Falls where he served as an Elder and Trustee. He was active in the Niagara Falls Builder's Association, a life member of the Dartmouth Society of Engineers, American Society of Engineers and the Society of Military Engineers. Survivors include three sons, Rev. Dr. Lance L. M. (Peggy) Brown of the Town of Tonawanda, Jack G. (Della) Guenther, Jr. of Grand Island, NY and Otto F. Guenther (Donna Reisert) of New Castle, DE, a daughter Lyane Marie (Guy) Klein of the Town of Tonawanda, 4 grandchildren, 3 great-grandchildren and several nephews and nieces. He was predeceased by his sisters, Jane Stone and Marilyn Wilson. Friends are invited to attend a memorial service on Saturday March 14 at 12 Noon in the First Presbyterian Church of Niagara Falls, 311 Rainbow Blvd, Niagara Falls, NY with the Rev. David Crapnell officiating. Private burial will be held at the convenience of the family. Flowers graciously declined, if desired, memorial contributions may be made to the First Presbyterian Church of Niagara Falls or to the YMCA of Niagara Falls. A single grave marker identifies the graves of Jack Gaylord Guenther and Elynor Forster.